Elizabeth McDonald, a PhD researcher and tutor at the University of East Anglia, has been visiting North Norfolk since her childhood. Her mother’s family have always lived there, so she’s been able to try out many of the tourist attractions on offer. “I don’t have a favourite area as such, I love all of North Norfolk! It’s a beautiful part of the world with great coastline and countryside. I live south of Norwich which is quite different as the countryside can be a bit samey, whereas in North Norfolk there’s a greater diversity of trees and wildlife. It’s much more romantic. Elizabeth is quite the animal lover, with a soft spot for owls and cats in particular. She’s visited some of the nature reserves in North Norfolk and had been meaning to try out Happisburgh Owls since spring. 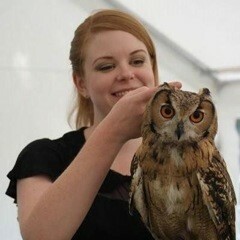 Not having much prior knowledge of owls, Elizabeth enjoyed meeting the different breeds and bonding with her favourite birds. She held a number of the birds and loved getting to know their different personalities. “They had about 10 owls on show when I visited, but I think they have at least double that in total. To avoid the owls getting too stressed out and overworked they alternate the ones that are shown to the public on different days, so you can easily see new owls if you go back. 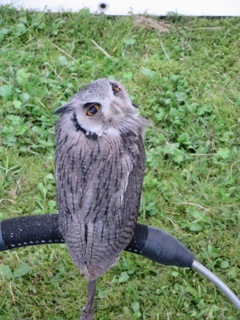 They have quite a variety of breeds such as tawny, barn, little and eagle owls. “One of the barn owls, Dusk, has a very rare melanistic pigmentation which is the opposite of an albino. Barely any survive in the wild and they’re still rare in captivity, so it was really special to see him up close. Dusk was definitely my favourite as he was quite grumpy looking, which I find really endearing. He was quite adventurous and a bit naughty, jumping about the place. You could really see the differences in their personalities. Trouble, a Northern White Faced owl, was as mischievous as his name suggests and decided who he let hold him. His sassy attitude was so funny and reminded me of my cat a lot. Happisburgh Owls prides itself on its knowledgeable staff, who are all owl obsessed! They’re always on hand to assist in holding the birds or to answer any questions you have about them. 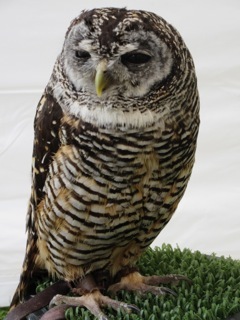 Happisburgh Owls make a number of appearances at seasonal shows and events, plus can now be booked for private events such as birthdays. “Recently they moved location to the garden centre, where they have a large marquee situated out the front. They keep the birds in there, along with the gloves and harnesses for holding them, so you can either pop in after the garden centre or make a special visit like I did. There’s no time limit on how many owls you can hold or for how long, so you can easily spend a few hours there. “The owners are really great with kids too. If the kids are a bit nervous they can hold one of the smaller owls like Trouble, or if they just want to interact with an owl they bring over Mumbles as she’s great with children. She chatters a lot with her beak so ‘talks’ to the kids, which they all seem to love. At Christmas, they have an exhibit with Mumbles where the children tell her what presents they want and it’s somehow passed on to the Father Christmas at the garden centre grotto. They think of her as Santa’s little helper, which is so sweet. “I think they originally started the business to organise visits to schools and educate people about their beautiful birds. They do private parties and visits now too including to some old people’s homes. Occasionally they are asked to visit hospitals to meet sick children and grant last request wishes – it was one older lady’s wish to die with a barn owl watching over her, which they arranged with Spirit. 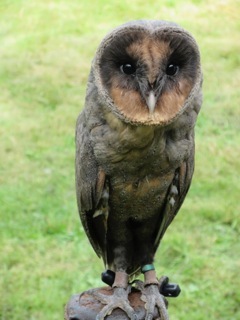 Elizabeth loved her visit to Happisburgh Owls and would happily recommend it to others. Happisburgh Owls have relocated to North Walsham Garden Centre so there is plenty of parking available. A small fee is charged to hold the birds but there isn’t a limit to the number of birds you can hold or the length of time. 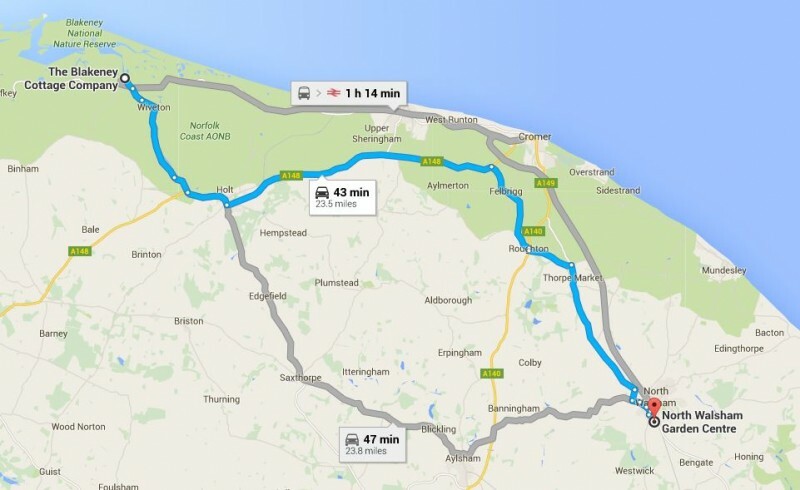 North Walsham garden centre is a 43 minute car drive from the Blakeney Cottage Company HQ.